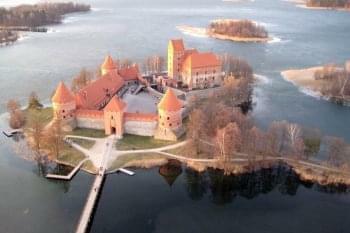 Trakai is one of the oldest Lithuanian settlements spreading over unique glacial terrain and the ancient capital of Lithuania. 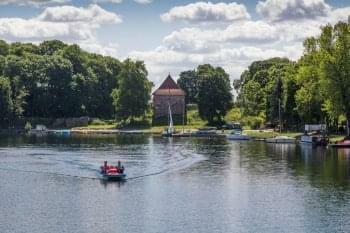 Trakai features moraine hills emerging from water like islands between numerous lakes. 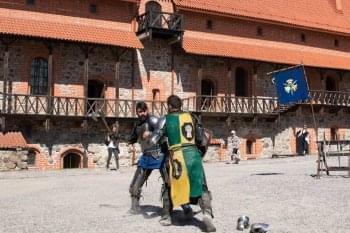 Located 28 km from Vilnius, the ancient capital of Lithuania is now famous for its 15th century insular castle housing an exhibition of archaeological findings from the castle and Trakai area and 17th-18th century applied arts. 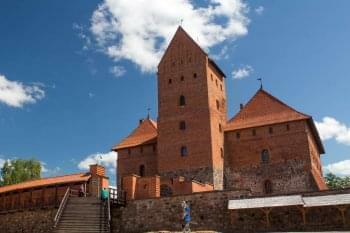 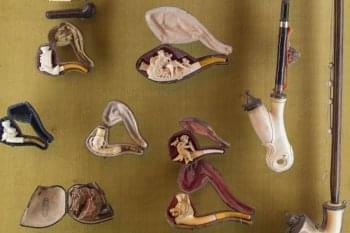 The museum exposition depicts history of Lithuanian Grand Dukes and Trakai region in more recent times. 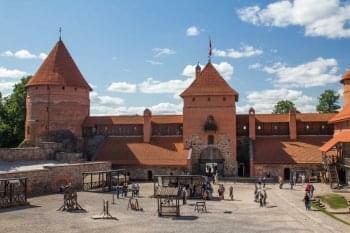 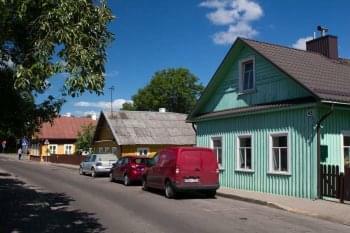 But Trakai town is more than the castle, apart from that - there is one more older castle on the peninsula of Lake Galve. 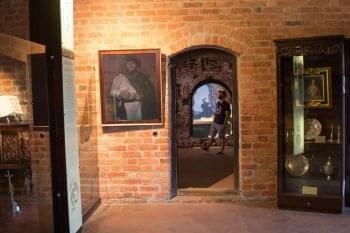 No visitor should miss heritage of Karaites, a Judaist sect brought by Grand Duke Vytautas from Crimea. 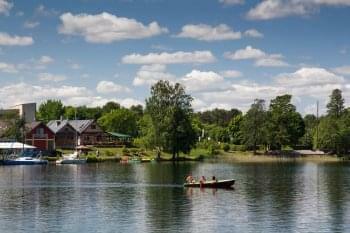 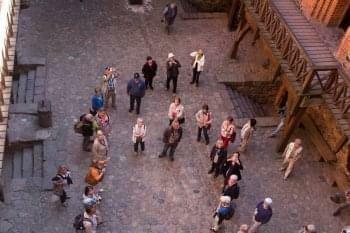 There are some 300 Karaites in the world and most of them live in Trakai.